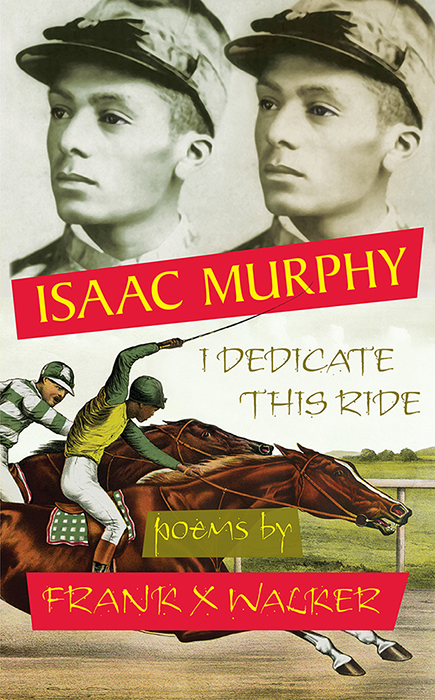 In Isaac Murphy: I Dedicate This Ride, poet Frank X Walker immerses himself in the story of legendary African-American jockey Isaac Murphy (1861-1896). The son of a slave, Murphy rose to the top of thoroughbred racing in a brilliant career that brought him wealth and fame. In Murphy’s time, thoroughbred racing was dominated by African-American jockeys. In the poems imagined/spoken here by Frank X Walker we hear the voices of Murphy and his wife Lucy, his trainer Eli Jordan, and his parents James and America Burns. The poems shine a light on the life of America’s most celebrated black jockey, his family and community, and the historical canvas on which his extraordinary life played out.